Apple recently aired iPad ad during the Oscars, which perfectly reflects this. Tuaw analyzed the video based on the on-air time dedicated to a particular function. It showed that a particular focus was on media consumption appeal and differentiation. 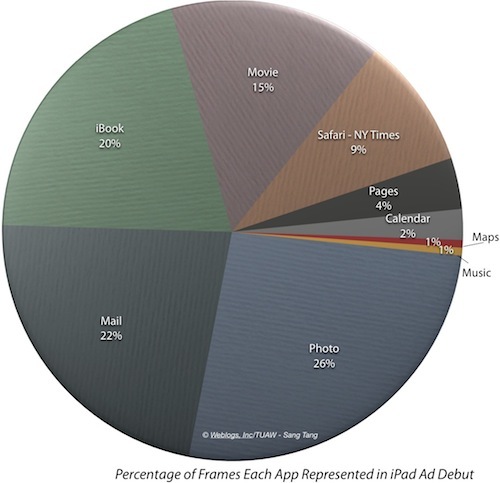 About 80% of all 720 frames (30 seconds * 24 fps) of the iPad's ad showed an app being used. And within this time, the photo app was shown the most (26%), the mail app came in second (22%). iBook app used 20% of time to position the iPad as a perfect eBook reader. 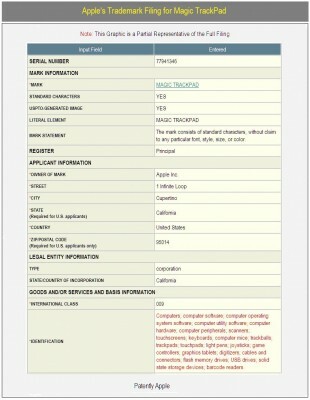 Patently Apple reports that Apple filed for the 'magic trackpad' trademark. 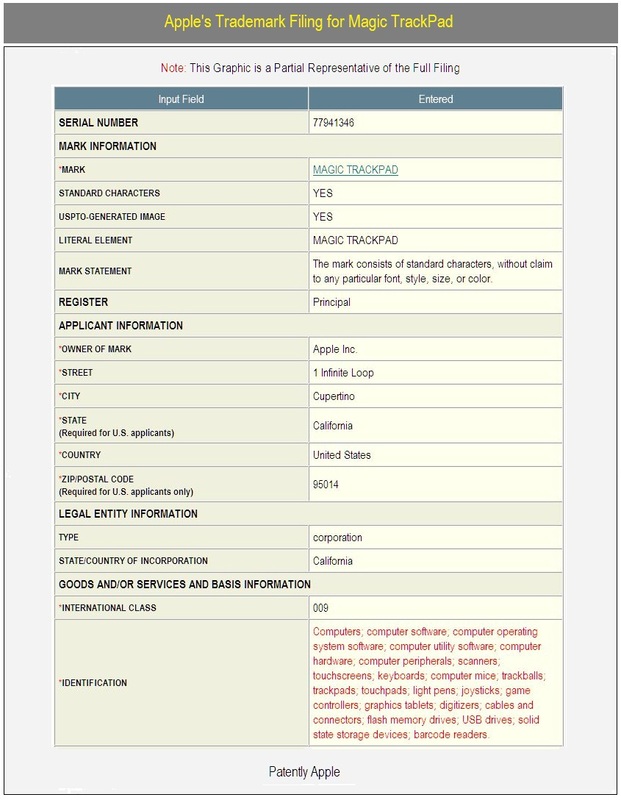 US Patent & Trademark Office published application on February 26, 2010. 'Magic Trackpad' likely refers to an external peripheral device for desktop computers or laptops plugged into external displays. There has been speculation about some sort of multi-touch "trackpad gadget" from Apple. Maybe Apple will provide desktop users a way to take advantage of some external multi-touch system. International Class 009: Computers; computer software; computer operating system software; computer utility software; computer hardware; computer peripherals; scanners; touchscreens; keyboards; computer mice; trackballs; trackpads; touchpads; light pens; joysticks; game controllers; graphics tablets; digitizers; cables and connectors; flash memory drives; USB drives; solid state storage devices; barcode readers. 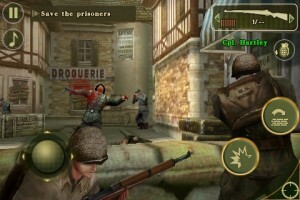 Gameloft has finally released Brothers In Arms 2: Global Front game for iPod Touch and iPhone. 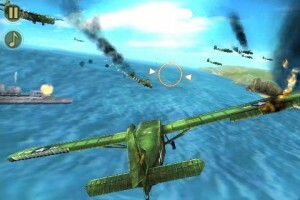 In this game you can challenge up to five friends to multiplayer battles. Connection needs to be established via Bluetooth or Wi-fi. You can purchase Brothers in Arms 2: Global Front for 7.99$ here. TellTale Games finally released Tales of Monkey Island for Mac. One married couple creates armpockets with its own hands. From now on you can create and order your own customized case for iPhone. Location browser for urban discoveries is called Flook. To know more read the rest of the post. 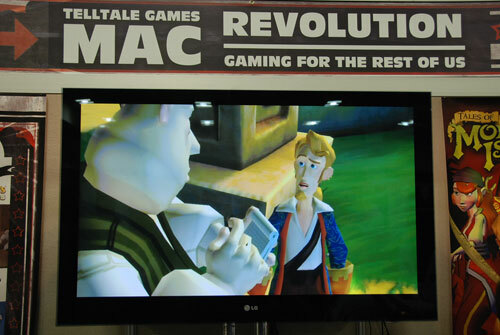 TellTale Games released a Mac version of Tales of Monkey Island! 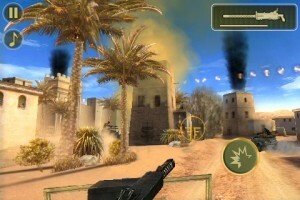 The latter is a 3D adventure game that was released for PC and WiiWare in 2009. 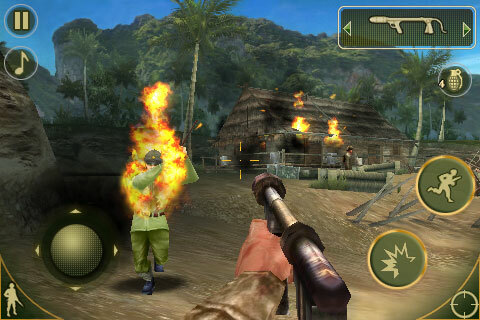 The game is available for purchase for $34.95 or you can download a free demo. Telltale Games also announced the next games to release on Mac will be Wallace & Gromit’s Grand Adventures, Sam & Max, and Strong Bad’s Cool Game for Attractive People. From now on sausages are not the only substitutes for human fingers; Electrorack presented an interesting rack enclosure for Xserves; Shake allows you to listen music without earphones; U-Socket solves a problem of USB-rechargable devices. As you remember few days ago we wrote about sausages as the best substitutes of human fingers for iPhones. Well now it is not. 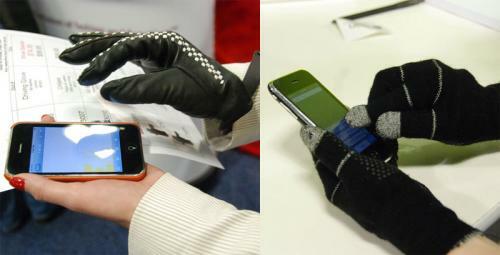 Two companies at once presented their capacitive capable gloves that allow you to use iPhone even when it's cold. 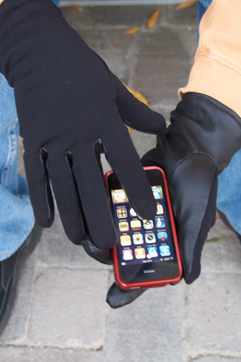 iTouch Gloves offered high end leather gloves (start with $99.95, on the left side) and Telefingers offered thinner, less stylish and cheaper solution (for only $15, on the right side). That really looks like oversized Mac Pro, but indeed this is a rack enclosure for Xserves and RAID configuration presented by Electrorack. The latter also offers a variety of other server racking solutions. 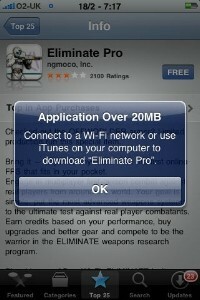 Apple decided to increase the limit of MB downloaded from the AppStore over 3G or cellular network. Previously applications could be bought if their size was less than or equal to 10 MB. Apps over this limit were available only through Wi-Fi. Many game and app creators deliberately whittle their software down to less than 10MB to make them more accessible to iPhone users. This limit now has been doubled. Although it might not seem like a big difference for developers it is certainly a plus to both developers and end users. Several users report that Apple started allowing iPod touch owners to upgrade to iPhone OS 3 for no charge. Syncing a second generation iPod touch today with an older version of the software prompted me to accept the free upgrade. How exciting. Just as when asked to download and install the latest firmware on an iPhone, iTunes simply asks for confirmation - no signing in to pay for the software. Sounds like free a good price for iPod touch 3.1.3 upgrade. PS: Jailbreakers: think before updating - you might lose the ability to jailbreak your device if you upgrade the firmware. Update: Several users confirmed the free update. However a number of users report that they are still asked to pay for the update. According to the Korean portal Hani.co.kr the sausages are the best substitutes of human fingers for iPhone. If your fingers are too sweaty for continual touchscreen use then sausages are the only solution for your problem, because neither gloves nor stylus will work on the capacitive iPhone screen. We don't know about how many Koreans have sweaty hands, but we have an information that sausage sales in that country increased by 39% over the same period last year. Obviously, the sausages become a usual practice in Korea. Hell Has Returned! 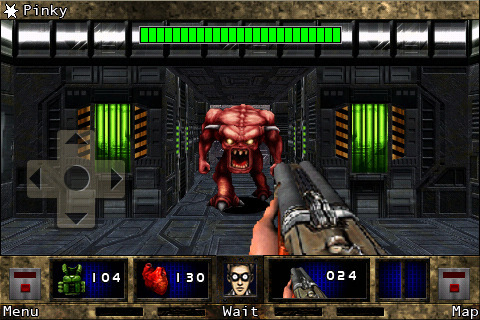 DOOM II for iPhone is now available! Hell has returned! Prepare yourself for DOOM II RPG for the iPhone and iPod Touch, the sequel to id Software’s hit mobile game Doom RPG. The forces of Hell have invaded our dimension once again, and you're the one to stop them from conquering the Earth! The are many possibilities. The only limitation is the skill of the developer. You can create games using the accelerometer, a multitouch applications, apps with video, pictures or even Twitter. We are looking forward to Flash CS5 release. The iPhone Dev-Team has released PwnageTool 3.1.5 for Mac OS X. 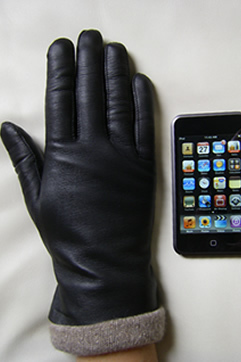 It allows iPhone and iPod Touch users to safely upgrade to firmware 3.1.3. With PwnageTool you can preserve jailbreak and ultrasn0w unlock. But if you’re using the blacksn0w unlock with baseband 05.11.07 you will need to stay at firmware 3.1.2. Warning! Don't try to use this tool if you have iPhone 3GS with firmware 3.1.3 - it just won't work. If you have iPod Touch 1G, iPhone 2G or factory unlocked iPhone 3G , try to use redsn0w - is would be much easier. You can download PwnageTool 3.1.5. here. 19 percent of all game developers are writing for the iPhone and iPod Touch, according to a new study from Game Developer Research. 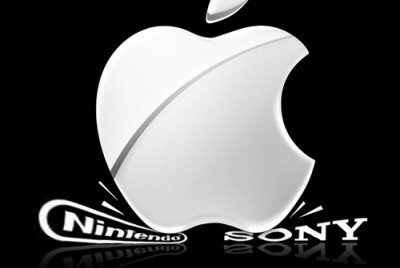 It is more than twice as high as for the Sony PSP and Nintendo DS and results in 3/4 of all mobile game developers writing for Apple’s gadgets. Developers claim their choices of platform dictated by the level of market influence and ease of writing code. The cost of development and the ability to port code are important too. The transition to the iPhone is evident through the number of ports. 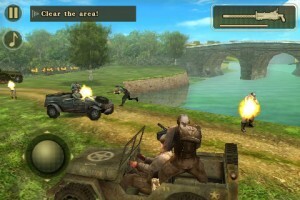 While many companies are producing original titles, games like Civilization Revolution and Assassin’s Creed series are actually Nintendo DS versions modified to use the touchscreen and the better performance of Apple’s devices. 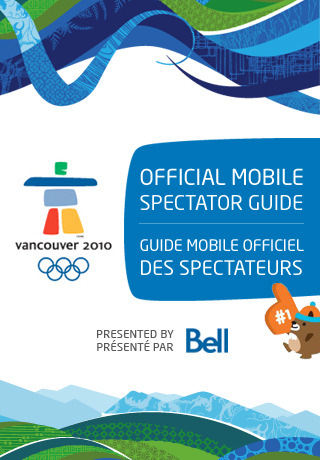 The official Mobile Spectator Guide for the Vancouver 2010 Olympic Winter Games is now available for iPod Touch and iPhone. It can be downloaded for free from the App Store. This application is a location-aware schedule that details more than 2,000 sport and cultural events taking place for 17 days between February 12 and 28, 2010.